Stay dry during hurricane season: Tips for preventing roof leaks. - Scarsdale Premier Insurance Agency | Advocate Brokerage Corp.
Stay dry during hurricane season: Tips for preventing roof leaks. The last thing you want to see when you look up is a leak in your ceiling. Water in your home is never a good sign. Here are some tips to diagnose the problem and how you can prevent future problems from occurring. Diagnosing the problem: Is it the roof leaking? First step to diagnosing a leak is to determine the cause. Water coming from a ceiling can be caused by one of two main problems: a roof leak or a leak from plumbing/HVAC pipes. Once you figure out which is the cause, you will have a better idea of how to fix the issue. Roofing isn’t like fine wine or art, it doesn’t get better with age! Your roofing has a typical life expectancy of about 20 to 25 years, but weather conditions can shorten its lifespan. If your shingles are damaged or aged, they can cause leaks. Flashing is the thin metal sheet that covers seams and transitions in roofing to create a water resistant barrier. If flashing isn’t properly secured or sealed, this can often do the opposite of what was intended and allow water to seep inside. Check chimneys where they cut through your roof. Sometimes your flashing will leak, and other times it could be caused by debris buildup on the high side of your chimney, allowing water to get under your roofing. Gutters are meant to channel water away from your house, not collect water in them. Make sure that your gutters are cleared of debris in order to help prevent roof leaks. Make sure to keep all gutters clean and clear of debris. Even if it is just a visual scan to look for cracked or broken shingles, this simple step can help to prevent water damage down the road. If you notice an issue, have it fixed immediately. Checking the seals around any holes in your roof (skylights, roof vents, chimneys) can be a great way to prevent roof leaks. 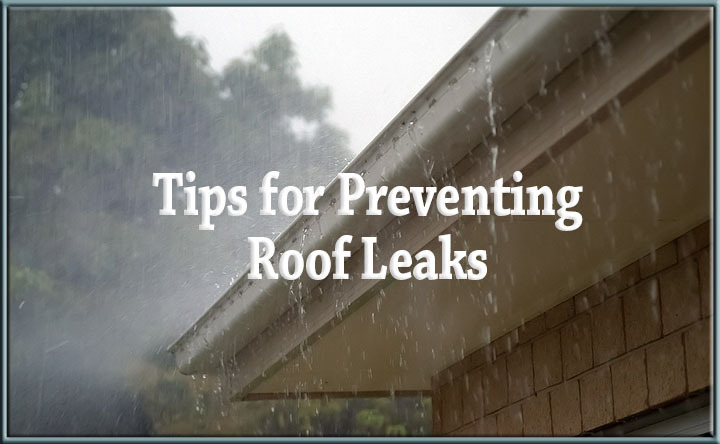 Making sure these areas are sealed can be your first line of defense against roof leaks. If you find a problem, fix it immediately. Fixing an issue as soon as you find it prevents problems from becoming worse. If you spot a leak, make sure to mark it in some way, this will make it much easier for whoever will be fixing the issue. Photograph the leak from a wide angle to make it easier to find as well. Sometimes leaks can’t be prevented. But we want to help your home stay dry during hurricane season. Plus with winter around the corner, you’ll want to do as much preparation as possible to prevent roof damage. As always, Advocate is here for you should leaks cause damage to your home. Give us a call if you have any questions or concerns.